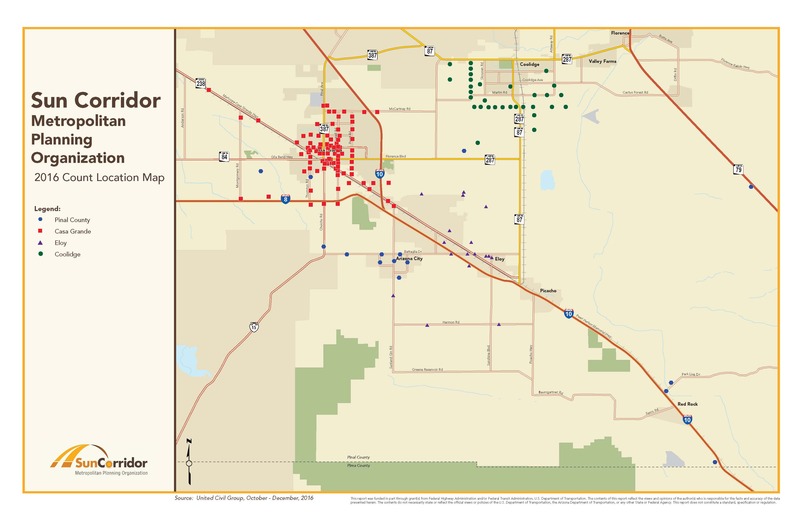 Click on the image to see the location for all of the counts completed in the Sun Corridor MPO Region in 2016. 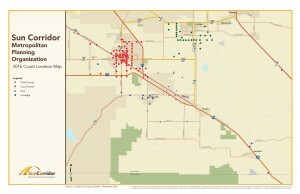 For more detailed maps of each individual Sun Corridor Member Agency (including location and count) please click on one of the links below to see a closer view of each location. To see a detailed spreadsheet of the 2016 count locations and outcome of the counts, click on the link below.